and what on the surface look like competing features like Office 365 groups emerging… it is difficult to understand where Yammer fits. 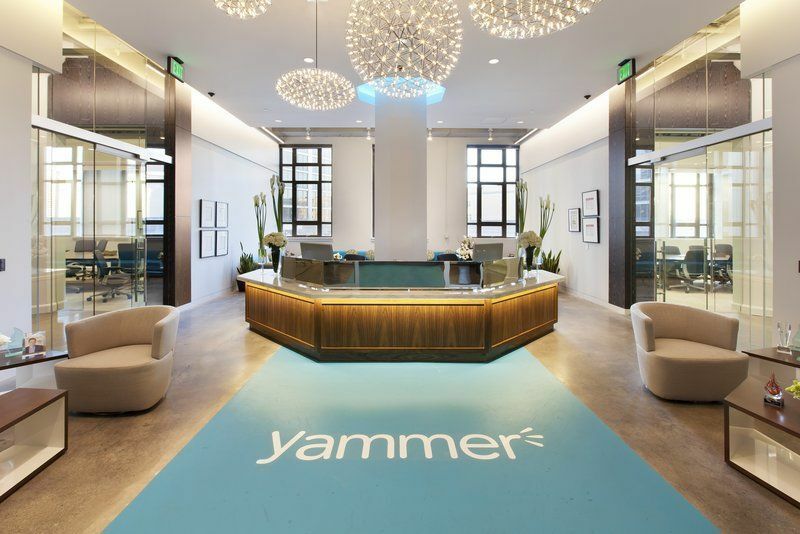 This is probably one of the most information / value rich episodes of The Yaminade for anyone wanting to understand what the identity of Yammer is moving forward as it continues to find its place in the Office 365 world. Thanks to harmon.ie for sponsoring this episode of The Yaminade! On this episode of The Yaminade we chat with Becky Benishek (@bbenishek) from the Crisis Prevention Institute. A few weeks ago I had the pleasure of spending an hour on Skype with Becky talking about the great work that the Crisis Prevention Institute do to help organisations around the world make places of employment great for everyone. 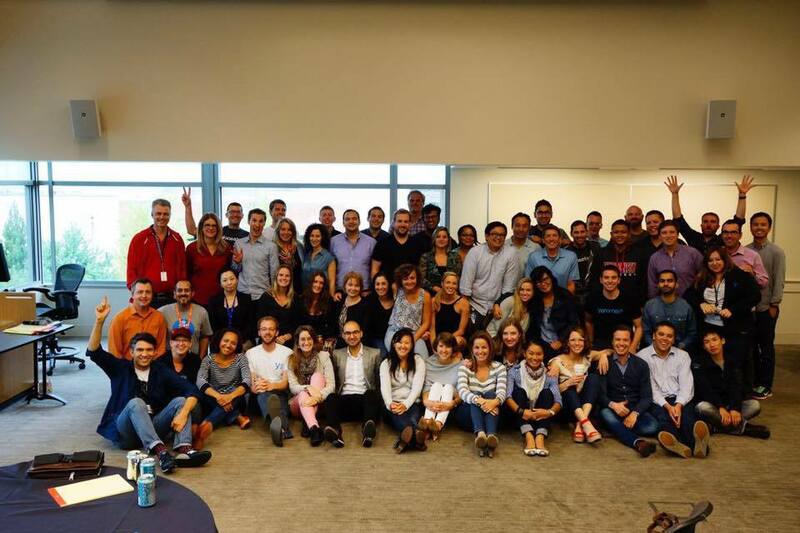 Then we dove deep into social media, visit this enterprise social and the similarities between helping people work together in the workplace… and helping people work together in your enterprise social network. My favourite part of the conversation was talking about Becky’s analog tactics to drive engagement in the CPI Yammer network (you can read more about it and see examples of the postcards on Becky’s blog! Thank you to our sponsors harmon.ie for supporting this episode of The Yamiande. harmon.ie solves the Yammer user adoption problem by bringing Yammer & SharePoint into a single-screen experience. With harmon.ie, visit this workers focus on getting work done and not on using the tools. 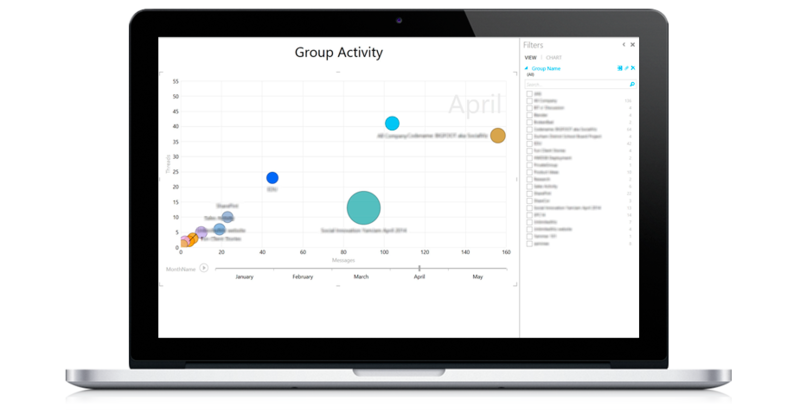 On the desktop or on mobile devices, pharmacist harmon.ie unlocks the full value of the Microsoft collaboration tools you already own… SharePoint, Office 365, Yammer, Skype for Business and OneDrive. harmon.ie: Yammer and SharePoint… in one window… no pain. With so many technology options in your organisation that enable people to collaborate or work better together, diagnosis it is sometimes difficult to understand what tools you should be using, advice let alone have a way of articulating what to use to your peers. 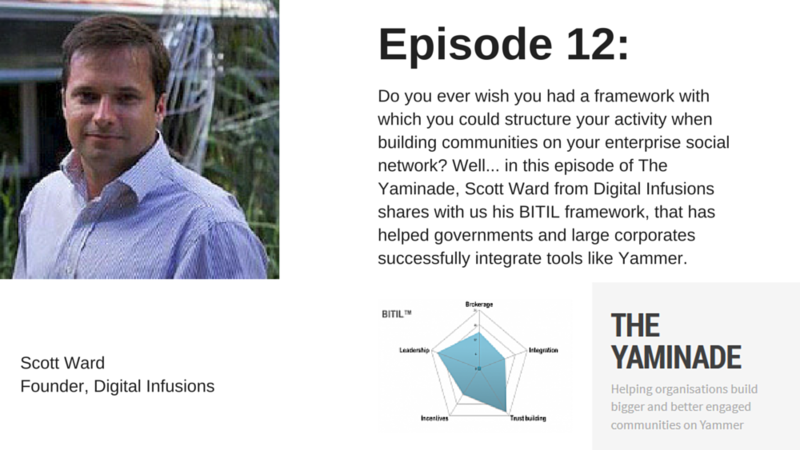 In this episode of The Yaminade we talk to Richard Harbridge from 2toLead. 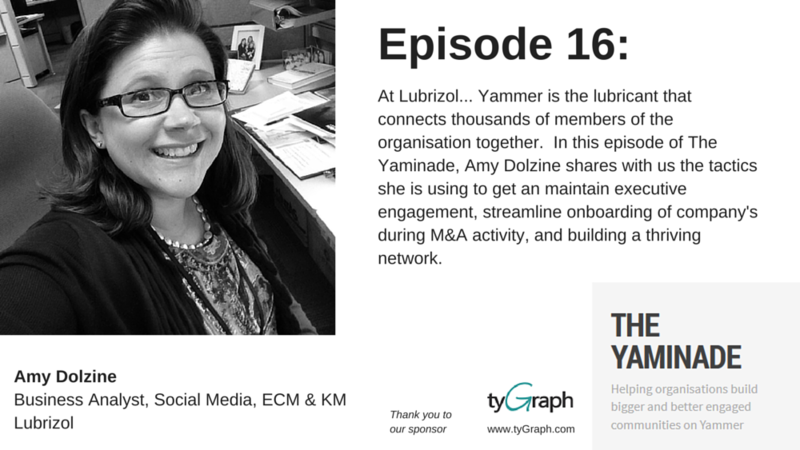 In this hour long chat we riff about adoption and usage of different collaborative features of Office365 — but instead of talking about “Yammer adoption” or “SharePoint adoption” — we look at how you can take a business process view to realise better results for your organisation. 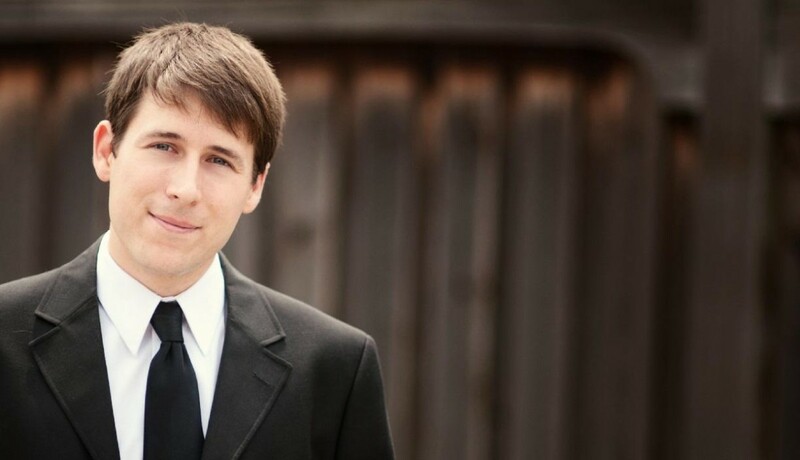 A few weeks ago I had the great pleasure of speaking with Chris Slemp (@cslemp) – Mr Social from Microsoft’s own IT department – Microsoft IT. 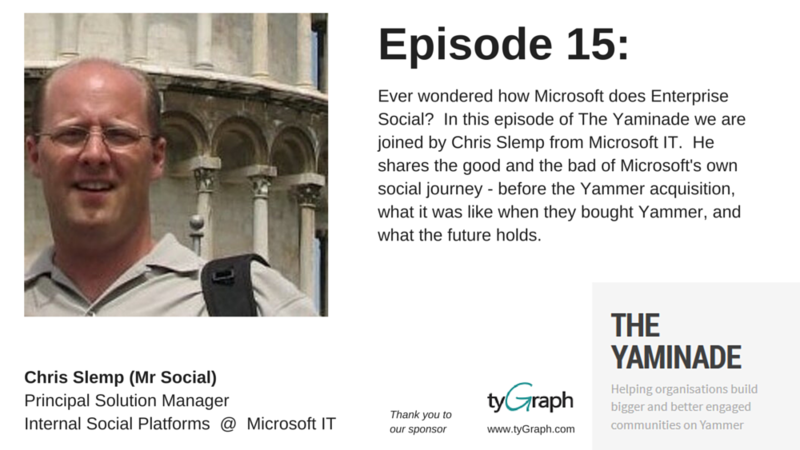 Chris has been with Microsoft for over 15 yearse, what is ed and shared with me some war stories of how social collaboration started internally at Microsoft; how it changed when the company purchased Yammer, health and what the future holds for internal social platforms. In particular he talks about a number of interesting projects were they are looking to make the digital workplace / intranet experience as relevant as possible to individuals in the organisation – using metrics, anorexia data and analytics to make it happen. During the episode we talk Chris’s Medium post “Which Tool When, v3.0” which I highly recommend you take the time to read. 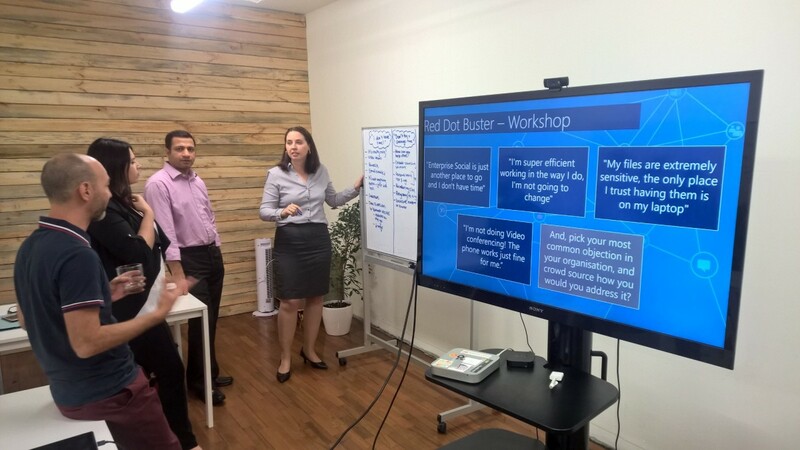 facilitating open and transparent strategic planning workshops, culture, and geek out a little bit regarding Yammer network metrics. To be honest we could have talked for hours… and we had been talking for about 15 minutes when this episode starts. 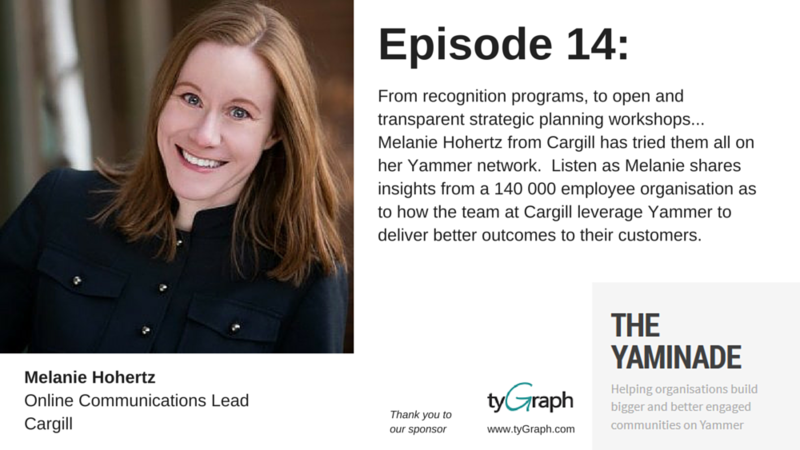 It is a jam packed 49 minutes full of actionable insight you can apply to your own Yammer network today.